I’ve been thinking about this for some time now, more so since we lost Ripley at the end of May. From the time we had his diagnosis to the time we said our final good-bye, it was less than 36 hours. After 16.5 years together (we adopted him when he was about 1 years of age), we had less than 36 hours. A precious few hours to hold him, cherish him and try to memorize everything we knew about him. Fortunately, I am a professional photographer. Which means I literally have hundreds of images of Ripley throughout his life. But, at the end, I needed more. Even though I can now clearly see the difference between when he was well and the last couple of days of his life, I created more images. Those photographs still bring tears to my eyes, but they make me smile too because they are memories of him. But, it made me think of those who are not photographers? Those who only have the odd iPhone image of their beloved furry face(s) or a few images stored away on a hard drive somewhere. When the time comes, in most cases, that won’t be enough. I always tell my clients not to wait until the end to invest in professional custom pet photography. It is wonderful to have images and memories of the times when our pets are well, active and vibrant. But life happens and we get busy. And sometimes these things catch us by surprise. 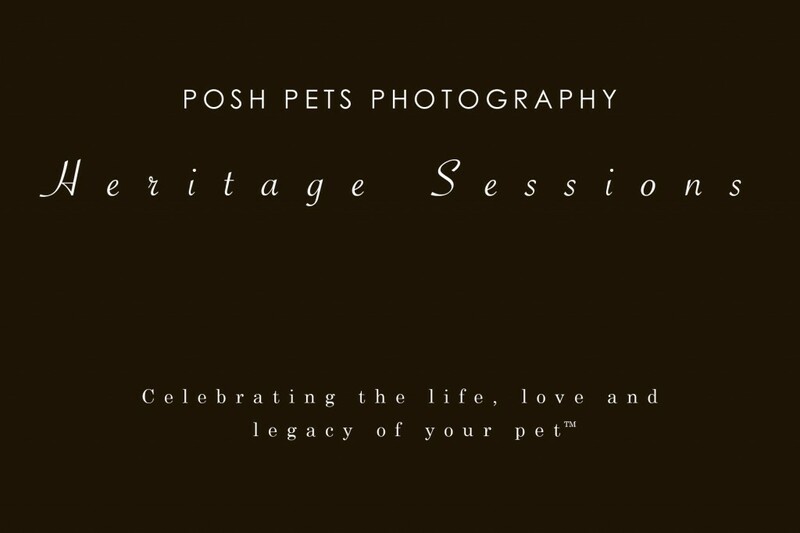 For those, I am happy to introduce Posh Pets Heritage™ Sessions. High-priority sessions reserved for pets that become ill or are simply elderly. We make every effort to schedule these on short notice. An opportunity to take time out of your busy schedule to spend some quality time togehter, celebrate the life you have shared and create images you will treasure forever. 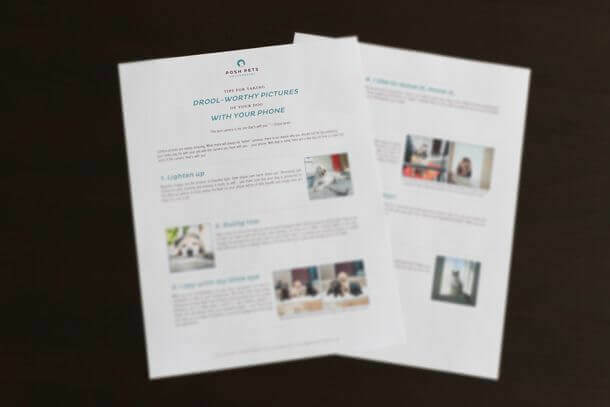 Please note: The Creative Fee covers time and talent to photograph a maximum of four (4) subjects, which can be any combination of people and up to two (2) pets who live within the same household. Additional subjects may be photographed for a small additional fee. 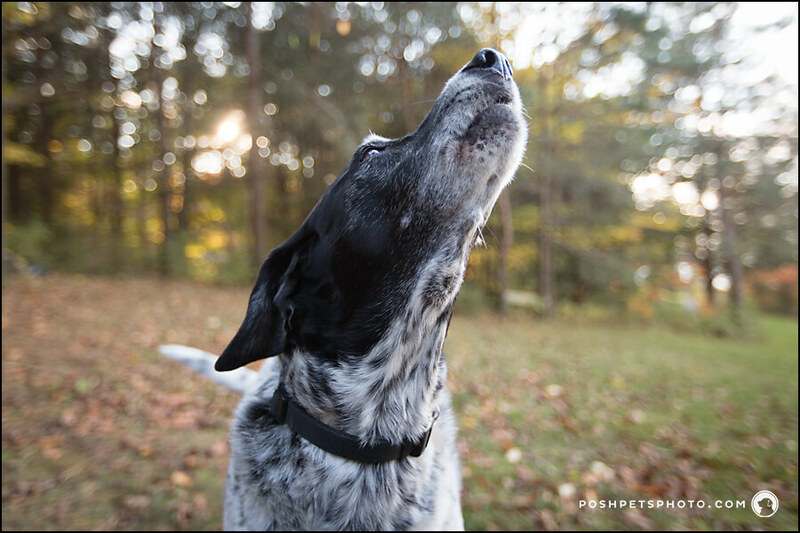 Examples of portraits from Posh Pets Heritage™ Sessions can be found here. Heritage Sessions are special sessions that will be high-priority. I know, from personal experience, you may not have even a week to have your precious boy or girl photographed. So, I will do everything reasonably possible to meet your scheduling needs so that you don’t miss out on this very important time together. Simply put, they can be requested on short notice and we will find a way to work it into our calendar. Your Heritage Session will also go at the pace of your pet. When a pet is ill or is simply quite elderly, they need frequent breaks for water, rest and medication. Given the emotions involved, you might need a break too. So, we will not watch the clock. We will not keep track of time. We will simply photograph until we have the images you want. And need. And make sure that you have some time to just enjoy each others company, and have it frozen in time forever. Truthfully, images won’t make up for the loss of your pet. It will still hurt. A lot. And you will feel like there is a huge hole left in your heart. But, in time, looking at the images you chose to create together, you too, will be able to smile through the tears. It would be an honour for me to photograph your pet. Posh Pets® Photography is a member of the Joy Session® Network, a resource for those coping with pet loss and bereavement.